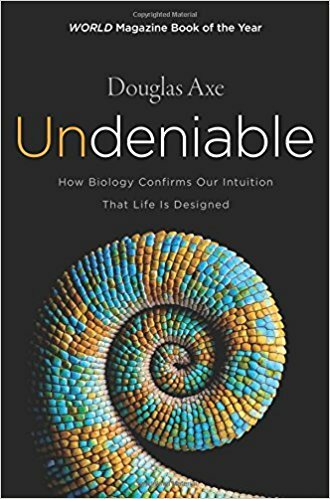 Last year I was invited to write an essay reflection on Douglas Axe’s book Undeniable: How Biology Confirms Our Intuition that Life is Designed for the periodical Sapientia (Carl F. H. Henry Center for Theological Understanding an outreach of TEDS –Trinity Evangelical Divinity School). That essay, Undeniably Limited: Designing a Box in Which to Find the Creator, has now been published. The essay is part of a symposium of essays including a response by Douglas Axe. I highly recommend the two essays published prior to mine in the series. They both reflect similar criticisms I had of Axe’s central thesis and his supporting data but explore those ideas from unique perspectives and experiences. I was under a strict—at least for me—word limit for the essay. There was so much more that I wish I could have explored in my essay. In the space below I include some additional thoughts—best understood in the context of my published essay—that I had to cut from my initial drafts. The thrust of Axe’s book is that we all have a “design intuition” that tells us—despite our desire to deny it—that unguided natural processes don’t explain the intricacy of the biological world. He calls this the Universal Design Intuition or UDI. This UDI is equated to common sense we all have such that we don’t need any expert knowledge to understand that life is designed. However, Axe is also convince that should experts look for design they will find that intelligent design is detectable by the scientific investigation of nature. My essay critiqued the UDI thesis and asked; if the UDI is a universal instinct why does it seem as if our UDI has functioned differently throughout human history? Considering the book as a whole, if I had to sum up my reaction it would be: Unreliable not undeniable! In addition to the many mathematical and scientific errors I noted on the margins of my copy, the thesis presented is an unreliable account of the scientific enterprise and appeals to the unreliable ability of humans to intuit truth in complex phenomena. As I say in the essay, as a biblical creationist I do believe in intelligent design. However, I am not convinced of the philosophical or scientific theses that lie at the heart of the ID movement. Axe’s book only confirmed my suspicion that ID is nothing more than a political and cultural movement underlain by the appearance of being scientific. Regular readers of this blog will recognize that I have never directly discussed any Intelligent Design book or article. This is because I don’t find the ID movement interesting or important. ID hasn’t provided any tangible solutions for any questions that I’ve ever had about science or my faith. Below are a few additional thoughts on subjects brought up in Axe’s book. Perfection and design: What does it mean to be perfect? What does it mean to be perfect? For Axe it seems—as it often does in his book—that we will know it when we see it. Perfection can be observed as “some wholes are what they are because they ought to be so.” (pg 76) I’m not sure how that helps us define or identify perfection. It isn’t clear that this means anything. Does our intuition lead us to a universal understanding of perfection? Axe points to something that in his opinion represents an object that is perfect: “the giant panda is yet another example of something perfect—something that is exactly as it should be.” How so? Because it a whole organism that is as it ought to be? Surely there is no doubt that pandas come in many different variation. Is each variation also perfect? How much variation can exist in a population or species before the “panda” as a whole is no longer perfect as a species? Do you see how quickly our sense of design is going to fall back on a vague appeal to intuition and become ill-defined? Interestingly, identifying perfections both of complete organisms and or parts of organisms seems to lie at the core of where Axe find the limits of biological change and thus the limit of evolutionary adaptation. But believing there is boundary and being able to define it and identify are two different things. For Axe, a perfect characteristic can’t have evolved from something less perfect or from the characteristics of another organism. His example of the panda gives us the clearest indication of just how deeply he believes God is engaged in the direct—without intermediate steps—design of each living thing (or population or species or genus?). We should note here that at this point we see a definitive break between understanding of the origins of biological diversity of Axe and young-earth creationists (YEC) who understand pandas to be but one form of a bear “kind” and thus share a common ancestor with many other bears including many intermediate forms. In their minds the panda is the product of changes to an original kinds via “natural” mechanisms rather than a perfect species formed as it is without connections to previous forms. We might say that for the YEC the perfect design was only in the original created kind but they accept that many changes can occur within those kinds to produce many varied species. In this way, the YEC sees many evolutionary mechanism at play in shaping organisms whereas the ID advocate find each “species” to be perfect and thus unable to change into any other species without losing the design we intuit as being solely from a creator. Let me say a few more words reflecting on the strangeness of the idea of perfection. There does not appear to be any organism that has perfect individual characteristics meaning that there is no way we can imagine them being improved upon. 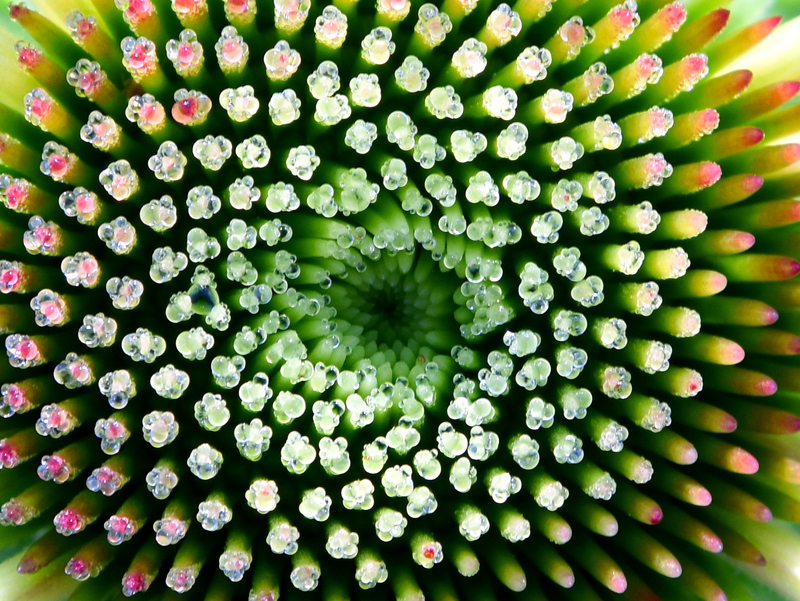 We can see that every feature of an organism has the capacity to be better (more perfect!?). For example, each enzyme could work faster and more efficiently. However this is only true if we consider each feature in a vacuum. Natural selection helps to select the best combination of thousands of working parts. Isn’t this what we could expect from a system that manages many different but dependent parts? Natural selection is constantly asking the question, does the whole package—the whole organism—function? If doesn’t ask if all the individual parts are the best they could be. As a result, many parts can be suboptimal (less than perfect) as long as the entire functional whole (Axe uses this word for whole beings) is good enough to survive and produce offspring. But this principle applies to entire groups of individuals as well. No single individual will ever have all the best characteristics. We can see there is enormous variation among individuals in a species. Axe suggests that each animal is doing the best it can by itself and cannot change lest it goes awry and no longer exist as a species. The problem is that what, for Axe, is a perfect whole species, has little ability to adapt and change lest it become less perfect than it was before. But animals have to change because the environment (interactions with the physical and other biological organisms) change and all individuals in that population that have combination of physiological systems that allow for survival in that new system are passed on irrespective of the desires of any individual in that population not to change. In each case an individual is not perfect in the sense that there is another individual that in all likelihood has another enzyme that works better than theirs but that individual has a combination of several others that work better in tandem that other individuals does alone. Consider also that an individual may have one particularly bad allele (variation of a gene) that then hurts the function (a form of pleiotropy) of five other alleles that by themselves would have been great for the organism. Natural selection then makes selection that forms a coherent or adequately functioning organisms that can produce offspring that don’t necessarily have the best of everything, they will have imperfections but they are less imperfect than others. This idea that each species is perfect and only strives to be who they are meant to be is adding an anthropomorphic element to their actions. The fact is that as each enzyme changes over time through mutations the organism doesn’t feel like it is different. Yes, each individual will strive to be itself—a busy whole for Axe—but its offspring aren’t necessarily the same as they are and they will be as much who they are as their parents even if they are different. It appears to me that in Axe’s world to have perfection you would need a system in which meaningful change doesn’t happen. And yet, I intuit that Axe wants God to have allowed for adaptation by some natural means. The challenge for him and other ID proponents is to define where the limits of adaptation lie? Consider that change would be expected to create a continuum of species at various stages of diversification into new species. After all, if organisms are always changing how could they be expected to be what they are for millions of years without changing their identity? Finally, we can ask the ID proponent, how can we tell the difference between natural adaptation and intelligent design when we study an organism? Might I suggest that rather than a dichotomous choice we consider that natural adaptation is a form of intelligent design! Is Intelligent Design reserved solely for complex cellular life? This brings me back to a discussion I have in my essay about identifying design not just in living system but in all parts of the creation. Shouldn’t we ask: are the physical processes that produce a sandstone arch or a waterfall, a star or a tornado really blind or mindless processes? Aren’t these no less the product of a creator? I believe that these processes and products in our universe are all upheld and only find their existence in God’s sustaining power. Axe appears willing to allow blind—uncontrolled?–processes to produce most of what we see in the world and universe by reserving the fingerprints of intelligent design only for cell-based living things. Again, an appealing but ultimate rather vacuous concept if this design is not perfect and is to only be found in one part of creation and not another. Please see my essay for an expanded discussion on this point. The danger here, and this is certainly not a novel observation, is that by seeking to find a space to find God in design, as design becomes explainable by describing God-provided means of sustaining and creating, the purview of UDI to identify design becomes ever smaller. Today, the UDI seems to be limited to identifying design in the origin of life, the Cambrian explosion and a few unique traits of present-day living things. Most of these things, though are poorly understood. What if our knowledge changed in the future, will our UDI no longer intuit design here either? It feels like ID and UDI are boxing God into an every smaller space in which He can provide proof of his existence. Axe, and other Intelligent Design advocates frequently focus on the Origin of Life question as if proving that a naturalistic origin of life is impossible would then prove the existence of God as designer. They hope is that, that singular realization will unlock the hearts—or possibly their latent universal design intuition—to see God in other aspect of biology and their life. But this seems like a poor starting point for finding proof of God and universal design. Unlike young-earth creationists, Axe believes—or at least gives the strong impression—that the first cellular life appeared up on earth as simple bacteria. He accepts the conventional interpretation of the fossil record indicating an ancient chronology of earth. As a result he is left to attempt to calculate the probability of events he believes happened 2 to 3 billion years ago: the creation of the first life on earth. Such a calculation of odds is apt to be fraught with error given the many unknowns with respect to the conditions on Earth at that time. If we want to “prove” design and the presence of designer wouldn’t it be better to examine something that God designed more recently such as cryptic praying mantids or polar bears? There is so much more evidence that can be brought to bare on more recent supernatural design events. Yet in Axe’s book, he chooses to focus on events from the distant past. It appears, though is very difficult to discern from his book that he believes that all or most species are the product of intelligent design without intermediate steps. Shouldn’t we be looking at species and asking how we can detect evidence of design that could only be the result of a divine intervener rather than any secondary mechanism even if those mechanisms are of divine origin? The lack of recent examples of design which should be subject to closer and more accurate investigation suggest that either ID proponents believe that God has been a less active designer in the past million years or the evidence for design is far more difficult to identify than we are being led to believe. « Young-Life Creationists—Who are the People that Believe they can Replace Darwin? What puzzles me is that ID continues to to attack “evolution,” when a number of their own people support common descent and speciation (e.g., Michael Denton). I am not a scientist, but it seems to me that those ideas are at the core of mainstream evolutionary theory. Shouldn’t the ID camp be more clear that they are attacking a form of evolution (Neo-Darwinianism) vs. evolution itself? Is this a PR move to capture unsuspecting fundamentalists? I’ve found ID very difficult to pin down on a number of topics. A while back I wrote about how OEC/YEC/EC/and ID understood the relationships of neanderthals to humans and I really couldn’t get a good handle on what IDs thought. They seem to contradict themselves or use such nebulous language that nearly anything can be read between the lines. I found Axe’s book to be very confusing in places because it seemed that he did’t realize that an argument he made in one chapter could be use to undermine things he said elsewhere in the book. But the lack of specifics makes it difficult to pin down if these are true contradictions or simply sloppy language. Recognizing intelligence can be difficult, especially with regards to apparent design. ;-) If one of the Mars rovers came across a large metal structure that appeared to have external engines and an internal, controlled atmospheric system everyone would immediately exclaim, “Proof of extraterrestrial life!” (Since no human has been to Mars, yet.) Or could it have been produced through purely non-directed, random processes? Hmmm. I think a problem for ID lies in separating God from life itself. Is life a mysterious “X-Factor” in the world that seeks to be fruitful and multiply, and fill the earth (to quote an ancient source)? Perhaps life is tacit by nature – difficult to explain but undeniably evident. Similarly, we humans aren’t limited in our creativity but I don’t know if that qualifies as “designed” creativity. Semantics? I don’t know. You make good points about laws and processes. Perhaps life follows different rules than those of mere molecules and galaxies. Finally, I think you are right that ID is an attempt to provide “proof” of God. To say God needs proof is to make Him subject to logic and that’s putting the cart before the horse. In trying to prove God, is ID automatically invalidating itself? Your article contains many good, although hard, thoughts and questions. PS Changing the subject a little, I’m very interested in Florida snail kites (a bird). They appear to be changing remarkably quickly. Design, evolution, or life in action? I’d love to hear your take on them. The problem is that the word “evolution” means completely different things to different people. Scientists who study the subject have a very careful and precise definition (the change in allele frequencies in successive generations of biological populations), but in many non-evolutionary creationist circles there’s a widespread perception that it means something much more wide-ranging than that. In fact, in a lot of YEC literature in particular, its de facto meaning amounts to “anything and everything about science that I don’t like.” Hence you’ll see them talking about things like “evolutionist” explanations for the earth’s magnetic field for example, even though the earth’s magnetic field has nothing to do with biological evolution. Words such as “Darwinism” and “neo-Darwinism” are pretty much the same. They sound like they’re saying something meaningful, but in reality, they’re so vaguely defined that you can quite easily claim that you “dissent from Darwinism” while acknowledging universal common descent. It seems like the author’s cases mainly relies on the fallacy called an “argument from credulity” – that since I can’t understand or imagine something, it must be wrong or an act of God. The suggestion that we should trust our intuition is especially lame, since we can cite countless cases in the history of science (and many others in our everyday lives) where intuition turned out to be entirely wrong. (As an OEC myself) Although the ID community makes good points, I have found their ethical and theological beliefs to be…disturbing. They have stated before that they believe that it acceptable for humans to drive species extinct and destroy the environment for the sake of our own species “thriving”. I find this deeply unsettling. They have a kind of extreme humanism worldview. wowfunny, I agree that some of the ID people make arguments that are not only dubious or demonstrably false, but in some cases also quite disturbing. Among them is Behe’s assertion that the malaria virus is so complex it is irreducibly complex, and thus deliberately designed (and we all know that he means designed by God). Not only has the first claim been well rebutted by others (for example, see https://behefails.wordpress.com/2008/09/04/malarias-diminished-chloroplast-is-on-purpose-really/ ), but the idea that God would design a microbe that causes untold pain and suffering to countless people every year, including many children, is hardly a theologically logical or attractive concept. Behe does acknowledge the reality of natural selection and a certain amout of “descent with modification.” However, in this case, if he wants to argue that the virus only became deadly after the Fall (which I am not sure he ever has, as it would run counter to the traditional ID camp policy not to discuss Biblical references), that just destroys his argument a different way. After all, if the virus changed or “evolved” over time, then it can’t be irreducibly complex. Talking about the irreducible complexity of the Malaria virus….First, Malaria is not spread by a virus. It is spread by a single celled eukaroytic microorganism, called Falciparum. So it is not a virus, neither a bacterium. The interesting part is that, although there are currently over 40 Falciparum species, there are only 4 species that are inducing Malaria. Apparently the original Falciparum baranome, from which all other species descended, was not a disease-causing organisms. The parasitism is secondary! Interestingly, due to reshuffling of the genome 4 times independently a disease-promoting Falciparum arose (evolved if you wish). So, indeed, Falciparum was originally designed but not as a disease-causing agent….later the virulence developed due to reshuffling of its genome. And it developed(evolved if you wished) 4 times independently into a parasite. As you can see, the Baranome-Theory explains this in a superior way. Sorry, the microorganism is called Plasmodium. Plasmodium falciparum is one of the 4 disease causing bugs. I am curious as to ID proponents’ opinions as to the lowest level of complexity that represents design. Do prions represent design? If so that seems a fairly low threshold (one protein that reproduces only itself) and if prions do not qualify as designed, then do viroids, “defective viruses”, or very simple viruses (1, 1, and 4 coded proteins respectively) qualify? Making the line at bacteria strikes me as a bit arbitrary as well since Chlamydia spp. are not considered viruses only by virtue of having both RNA and DNA (Chlamydia spp. also being obligate intracellular parasites). Rather than the most complex organisms, are there any opinions as to what is the least complex design? I’m very curious about the same thing. I don’t have Axe’s book in front of me but I wondered if he thought bacteria were of ID origin based on some things he said. I feel like I had less and less of an idea after reading his whole book where we could find design and when we were not able to find design. What is your response to the Reasons to Believe idea of intelligent design. “Do prions represent design”…Prions are misfolded design. Here too, the disease causing agent is secondary (usually due to Mutation). Viruses are also secondary. Either they are derived from Bacteria (Mimivirus is an interesting example, since we can simply track back many of its genes to soil bacteria), or they are modified transposon-like DNA elements (8% of the genome of all higher organisms is made of such genetic particles: ERVs). During the reproduction cycle of ERVs, sometimes a gene is integrated (due to polymerase read through) and in a single event a virus arises. An intruigung example is RSV (Rous sarcoma Virus), which picked up the on-switch of the src gene (a proto-onco gene present in the genomes of all higher organisms which regulates cell divisions). So, the baranome-theory explains the origin of RNA viruses as a reshuffling of preexisting information! It is very elegant and straightforward to understand the agents that cause many diseases. They are secondary, not primary and thus not created. The RSV evolved in a single genetic event: ERV plus half of the src gene = OncoRNAvirus. You referred to questions about what is at the “heart” of the ID movement. That reminds me of an argument I recently read (not sure where) that seems to further undermine the very core of the ID movement. Take an organ such as the human heart. I doubt Behe woud suggest it is irreducibly complex (IC), but it is a highly complex organ (even more so the brain) that has many different parts that need to work together in unison for proper functioning. Taking any away generally causes great harm, if it can function at all. Thus, many YECs suggest it is so complex it must have been designed, and could not have arisen in stages. However, every heart or brain starts out as a few little cells, and then grows (with genetic instructions) over years into the fully-formed and functioning organ. I am not suggesting this process is strongly analogous to evolution, but it does seem to clearly refute any suggestion that any organ of the body, or even any system or biochemical pathway in the body, is IC, since they all start out with fewer and simpler parts in a zygote. Glen, this is frontloading. Only fronloaded processes can account for the evolutionary process we observe in genetics and fossil record. It is an intrinsic process and it is explained by derepression and silencing of building instructions formed by the spatial configuration of the genome. First, you seemed to miss my main point, which is that the developmental process, while different than evolution, demonstrates that the organs are not “irreducibly complex.” Second, any “front loading” would have been lost during a global Flood, which in fact would have left the Ark pairs in severe genetic bottlenecks, which again,result in long term loss of diversity and many pathologies, not “hyperevolution.” Third, your last statement is thoroughly contradicted by that, as well as the actual details of the fossil record. May I ask how much paleontological field work you’ve done? Virtially everyone who works with fossils on a regular basis (including me and most Christian workers) accepts evolution and an old earth, because we can’t deny the evidence we see before our eyes on a regular basis. Please don’t try to say its due to bias. It clearly wasn’t in my case, since the bias I started out with was for YECism. In fact, I tried hard to make it work (in my youth) before realizing, as I got into the field more and more, that it flew in the face of mountains of evidence. I think Dr. Duff is mistaken in representing Dr. Axe as saying that today’s animals are “perfect” in the sense that we can think of no way that they could be improved. Sure, panda’s could be improved if they could fly, breath fire, or see the infrared spectrum. Rather, I think Axe is pointing out that the animals we see, though not perfect in that abstract sense, whatever that would mean, are SO good at doing what they do, that it takes hard mental work to choke down the impression that they have been purposefully crafted. Axe is simply saying: don’t choke that impression; it was right. As a creationist, Dr. Duff, you must agree that the design intuition is latching onto a reality, and is not a false impression. That’s Dr. Axe’s thesis. You do say that “Axe appears willing to allow blind—uncontrolled?–processes to produce most of what we see in the world and universe by reserving the fingerprints of intelligent design only for cell-based living things.” In response, I would say respectfully that you may have missed the point. While as Reformed Christians, you and I believe that God is actively involved by way of providence in the formation of stars, planets, mountains, canyons, sand, rivers, caves, granite, etc.,; there is a very real and identifiable difference between things created by God via the laws of physics (as an OEC, I believe stars and planets were created this way), and things created by God which could not have arisen by the operation of those laws. So, the UDI kicks in upon seeing fully formed plants and animals in a way that it does not kick in when seeing Niagara falls. This does not mean that we as Christians do not also understand that God made both and deserves worship for both! But ID is not, unlike creationism, a theory based on religion. Indeed, ID is not even a theory—and this is often misunderstood, as seen in several of the comments. It offers no model of origins. This is why it seems “hard to pin down.” As Stephen Meyer has pointed out, not all ID proponents are even theists. ID merely points out that living things were designed, and not the results of molecular billiards (and it’s done an impressive job of proving this). How scientists take that datum and then proceed to build a model of origins is beyond the scope of ID. Thanks for your observations. I would just affirm that I believe in design. All things are created by God. Yes, we all have a sense of that, I agree but that doesn’t mean that we must then say that a particular thing is the result of fiat creation rather than secondary means (which is still design/creation). You can take any individual and say they are designed and yet that does not mean I am the product of immediate special creation. Was I not knit in my mothers womb? Should I believe this is what makes me designed? In the ID world why are species designed by individuals not and why if an individual can give rise to another without immedate special creation can another species form from another in the same way. Why should UDI suggest this is not the case? Its seems to be that Axe wants to go and say our UDI makes us think that this cannot happen but then he uses explanations that are not intuitive to prove that case. It is at that point that Axe has a problem since his scientific case for UDI is not convincing (you could say my UDI tells me its wrong – and my UDI can’t be wrong, right:-). Joel, you make good points. I might add that a lot of what Axe says runs contrary to what AIG is saying about post Flood hyperevolution. Indeed, they are suggesting that immense and rapid changes took place in many animal lines. Axe suggests that modern organisms are obviously designed, but if Ham is right, they would have looked very different leaving the Ark (and in the mainstream view, they looked very different in the prehistoric past). Moreover, I don’t think Ham and friends would deny that their rapid post Flood diversification was due mostly or entirely to natural processes, even tho they seem unsure or confused as to what processes or mechanisms were involved (besides ignoring the evidence that severely bottlenecked species retain low diversity for many hundreds of years–the exact opposite of what Ham needs). Completely off topic but on your blog I saw your post about Padres uniform colors. I quite agree. I lived in San Diego as a teenager and listened to every game on the radio of the 1983 and 1984 seasons. I can still remember the 1984 division series in which they came back from down 0-2 to the Cubs to be the first team to come back from a 0-2 deficit. Tony Gwynn is my all-time favorite player in any sport and the Padres were always been my team growing up though I listen to the Indians now since I’ve been in Ohio for quite a while.